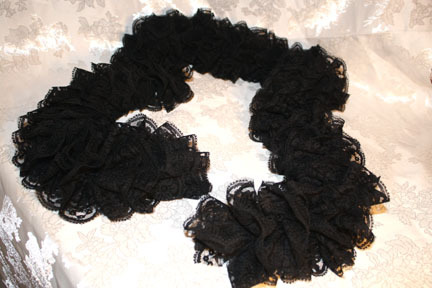 This scarf is the ultimate in elegant. 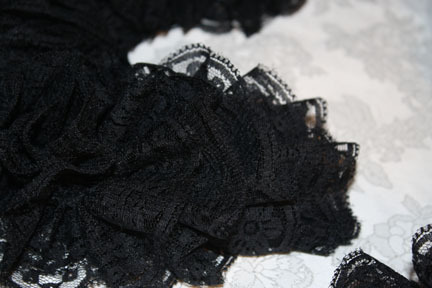 It is made of black lace. The cost is $20.00.